Billy's got a problem. 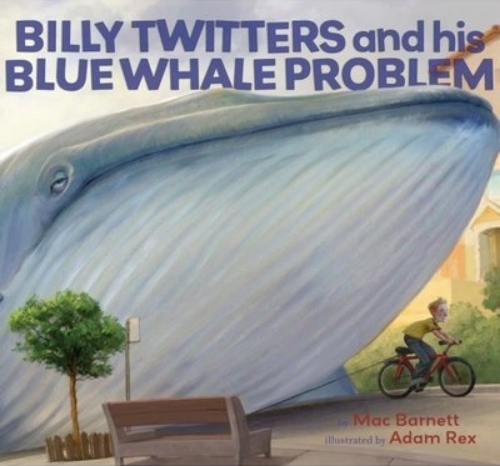 His mother says if he doesn't clean his room, brush his teeth or finish his baked peas, they're going to buy him a blue whale. Huh? Yes, it happens and the complications are a whale of a tale. Rex's lush illustrations, that almost always sneak in a sly addition, combine with Barnett's subtle humor and word play. That creative combo makes us (and their readers) happy.